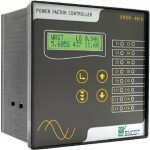 Digital Panel Meters Are Needed To Monitor Various Electrical Parameters. 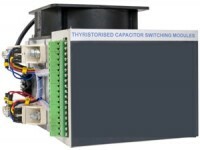 These Can Be Used For Three Phase As Well As Single Phase Systems. Quality And Accuracy Are The Main Factors Considered While Designing And Manufacturing These Meters. The Range Includes Single Phase Voltmeter, Single Phase Ammeter, Three Phase Voltmeter, Three Phase Ammeter, Frequency Meter, Multifunction Meters, Voltage-current-frequency (V-I-F / V-A-F) Meter And Voltage-current-power Factor (V-I-PF) Meter. 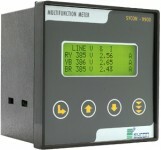 Many Of These Meters Comes With An Optional RS-485 Port For Communication. Using This User Can Monitor The Readings With The Help Of Computer Also. We Also Provide ‘Energy Monitoring Software’ For Such Applications.